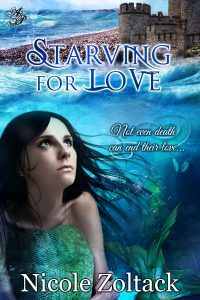 Sirena never thought a trip to the surface would change her life forever until she meets Kristian. The sea might hold her body, but Kristian now holds her heart. Their love can never be, however, for she is a mermaid and he a human. Rushing to steal some time with him, Sirena swims as if sharks are after her only to find Kristian’s lifeless body in the sea. Heartbroken, she turns to a sea dragon witch. With the promise to bring Kristian back to life at the mere cost of Sirena’s memories of him, the sea witch works her magic. Only, Sirena isn’t specific enough with her request, and her love returns as a zombie who threatens the mortal world. Longing to fill the emptiness inside, Sirena swims to the surface and discovers a distraught child crying about a monster eating his family. Appalled at the notion, she promises to slay the monster, not knowing she is seeking to destroy the man she loves.